This is the first mini-WASP image of 2012 🙂 If you want to know more about the revolutionary mini-WASP deep-sky imaging array then please visit the New Forest Observatory web site. 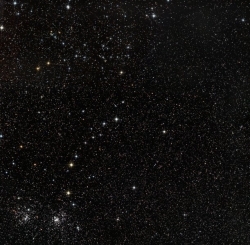 The accompanying image shows the famous Double Cluster (bottom left hand corner) in Perseus often referred to as “Diamonds on Black Velvet”. 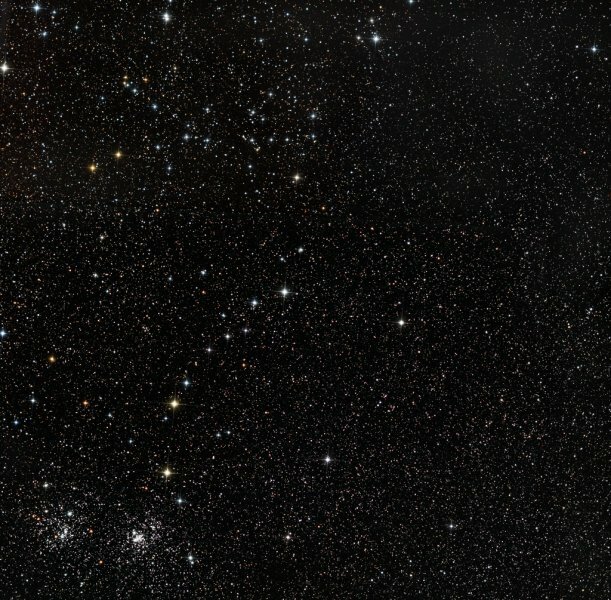 Stock 2 is a very large open cluster towards the top of the image and it looks something like a “stick man” on his side. I had visions of this image in my mind as I was putting the mini-WASP array together – it helped me get through the rather painful process of building and commissioning the system. Fortunately the image turned out every bit as good as I had imagined. There are so many stars in the background to the Double Cluster because the Milky Way passes through this region.